Remember Martin Luther King’s influence on our country by registering to participate in Rowan’s MLK Day of Service on Monday. The event takes place 12:30 to 2:30 p.m. in Hawthorn. 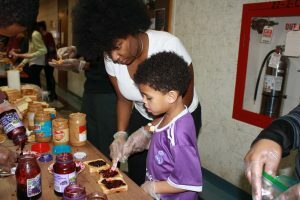 Volunteers will make peanut butter and jelly sandwiches, gather white tube socks and make placements to donate to emergency food provider Cathedral Kitchen in Camden. Students, families, student groups and community members all welcome! The event is sponsored by the SJICR Interfaith and Spiritual Exploration Center, Interfaith Council, and the Philosophy and Religion Studies Department. Beena Sukumaran, Professor of Civil & Environmental Engineering and President’s Fellow for Diversity & Inclusion, believes that with everything being said in the media lately, Martin Luther King’s message is in dire need to be heard and remembered now.”It is important now more than ever that our Rowan students be extremely tolerant of diversity. We should embrace and learn from one another,” says the professor, she herself an immigrant who entered the United States 27 years ago. “Gardy’s service is admirable,” she adds, speaking upon Gardy J. Guiteau’s actions to tie together Rowan students and our communities. 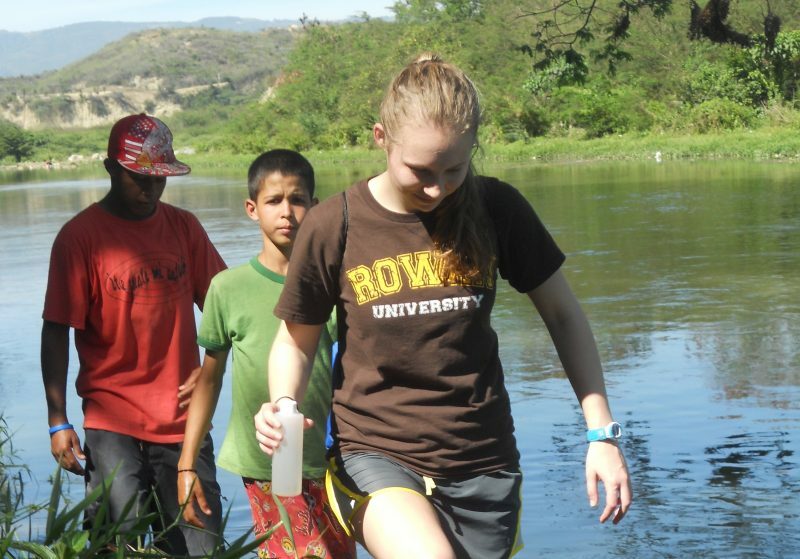 Inspired by MLK’s selflessness and acts of service towards social justice, engineering students have been reaching out worldwide, using their strengths and education from Rowan University to improve communities in need through Rowan’s Engineers Without Borders. Through this club, students work first hand to solve problems within less fortunate areas, like addressing an insufficient water supply for a town in Dominican Republic. Students are currently working on projects there, as well as in Haiti and Camden, NJ. This is one large example of Rowan students reaching out to help those in need, but Beena Sukumaran hopes the MLK Day of Service event inspires others to make small differences within campus. 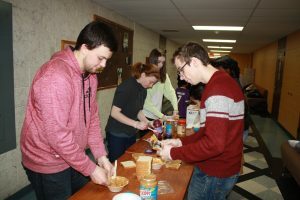 “Students who participate in this service project will have the opportunity to connect with one another, learn about MLK’s work, and leave with the knowledge that they helped to improve the lives of others in their community,” adds Guiteau. Start off the semester on a positive note, being inspired by Martin Luther King. Freshman business management major Alexia Thorpe of Lawrence Township, Mercer County, says, “This is a good way to kick off the semester,” and we couldn’t agree more.